Mature Lady ISO family to love. 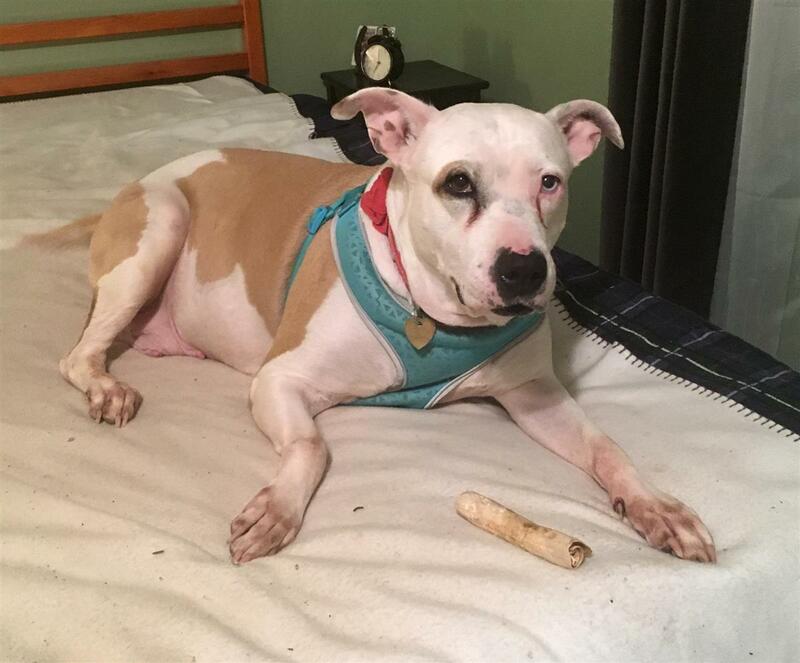 Alice is a gentle, well-mannered girl who would love a family of her own. She loves children and would be an excellent listener for a child who would like to practice their reading skills by reading stories to her. She would happily snuggle with a child (or adult) who needs a little extra love, and she enjoys playing dress-up (she and her foster Mom share sweatshirts). Alice is perfectly house-trained, almost never barks, and enjoys the company of other dogs, as well as people. She loves car rides, and walks, and making her people happy. She is all this, and much more. 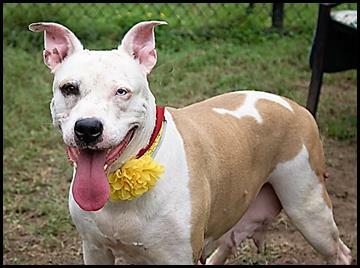 In short, you could not find a sweeter, more genial dog than Alice, nor one who is more deserving of a loving home where she will be cherished and adored. The fact that she is so good-natured is even more amazing given that for most of her life Alice was used as a nothing more than a breeding machine, a moneymaker for someone who didn't care a fig about her and just used her to produce litter after litter of puppies until she was replaced by a younger moneymaker. Next thing you know, Alice became a "stray" and, unsurprisingly, no one came to reclaim her. Alice is such a wonderful easy-going companion, but she is passed by time and again by potential adopters. Why? Because she's not young and she's not a classic beauty. She is a kind, loving spirit who remains a gentle soul despite years of adversity, and we see abundant beauty in that. Open your heart, and you'll see it too.